The latest RE inspection took place on 14th March 2019. Following the recent RE inspection of the school, I am pleased to inform you that St Vincent’s has been judged to be outstanding in all areas. As you know the teaching of RE plays an important part in the education of all our pupils here at St Vincent’s. The outcome of the inspection is testimony to the hard work and dedication of the whole school community and in particular, the wonderful contribution of the children to the religious life of the school. I have attached a copy of the final report click on the link below. I hope you enjoy reading it! Following our recent Ofsted inspection, that took place on Thursday 2nd November 2017. I am pleased to inform you that we have retained our status as a “good” school. I would like to thank all the parents and children who took the time to complete the Ofsted questionnaires. I have attached a copy of the final report for your information, Click here to view. 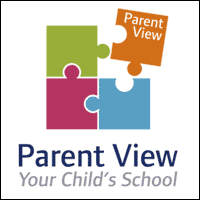 To view all previous Ofsted inspection reports please click on link here.